Pennsylvania Dem Primary is just six days away – and Arlen Specter playing the Obama card after defecting GOP and giving Dems a super-majority in the Senate last year. Note ….Obama will NOT be going to Pennsylvania……. Newark city is voting today! The story of incumbant Booker is still inspiring, from the infamuos “Street fight” documentary on the 2002 mayoral race, to his winning in ’06 and beating crime, strengthening schools and improving the budget in New Jerseys biggest city. And March 2010 was the first murderfree month in Newark in 44 years. The voting booth has just opened, but it seems like a walk-over for the incumbent this time, and the race have been neat and quiet – with Booker squashing the others with his $7.5m budget and Tv-ads. Nonetheless – happy voting day for Newark! Cory A. Booker easily won re-election as Newark’s mayor on Tuesday, and at least seven of his allies on the nine-member Municipal Council appeared headed to victory. With about three-quarters of the precincts reporting, Mr. Booker had almost 60 percent of the vote in a field of four, while his nearest competitor, Clifford J. Minor, had about 35 percent. 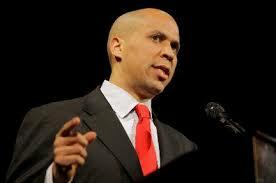 Impressive as it was, the Booker team’s showing fell short of its clean sweep four years ago. In 2006, Mr. Booker won 72 percent of the vote, and his slate won all nine Council races. On Tuesday, a Booker critic and former council member, Ras Baraka, won the South Ward seat, easily defeating the incumbent, Oscar S. James II, who was allied with the mayor. Another member of Mr. Booker’s slate, Charles A. Bell, the Central Ward councilman, was leading but did not have a majority, forcing a runoff against Darrin Sharif. Another candidate who was seen as posing a threat to the mayor’s slate was John Sharpe James, son of the former mayor, Sharpe James, but the younger Mr. James failed in his bid for an at-large Council seat. It remains to be seen whether Mr. Booker has a harder time dealing with the often-fractious Council than he did in his first term. Many of the mayor’s political alliances, including those with council members, are with former antagonists, and several of the council members have ambitions for higher office. The city also faces a budget deficit and declining state aid. Mr. Booker, 41, is widely seen as a potential candidate for higher office, but the prospects of that will ride on his ability to govern the state’s largest city, a poor community known for political intrigue and shifting allegiances. In 2002, Mr. Booker, then a council member, made his first run for mayor, narrowly losing to Sharpe James, who won his fifth four-year term. But in 2006, Mr. James opted not to run for re-election……. Seems like no-one is bidding on Newsweek – even as chief editor Jon Meacham is touring the networks and Daily Show this week. But who wants to pay for print and distribution anymore – when a blog from Fareed Zakaria, Eleanor Clift or Robert J. Samuelson is all you need. Good writers and columnists will be in abundance in the future – even better and more varied than today. And we’ll save lots of trees in the process! Mr. President has changed….from Talkandpolitcs…..
Look and listen. There’s a new core in there. C-span2 just ended a great talk about “Wingnuts: How the Lunatic Fringe is Hijacking America” by John Avlon. Lots of thought-provoking stuff about a political system that encourages playing to hate and fear to strengthen the extremes on both sides. A few things on the positive side was how the center always prevails in the long run, but a disturbing problem is how to adjust the whole concept of political government made for an industrial age to the new and shifting realities of the information age.